Everything you know about electric bikes has changed. Not enough power, poor balance, too little battery life, heavy, slow… Not anymore. 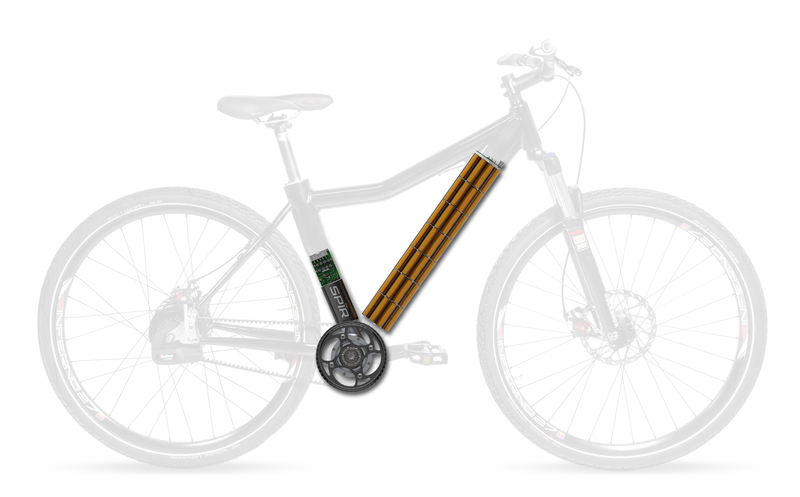 Introducing a revolutionary drivetrain unlike any other. 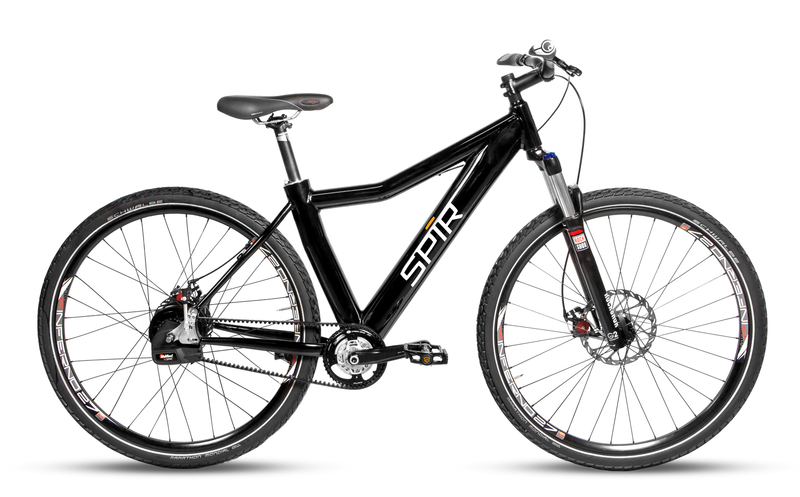 InSpīred by a challenge that no other technology could master, the Spīr bike with inDrive technology will destroy the limitations once thought to be insurmountable in electric bicycle design. The Problem: Electric bicycles have long been a good idea for first responders looking to navigate or control crowds. However, past designs placed all of the heavy drive train components to the rear of the bicycle. These components plus the excessive weight (up to 70lbs.) of gear that first responders carry, weighs down the back end of the bike.The result was sluggish speed, erratic balance, and poor battery life. 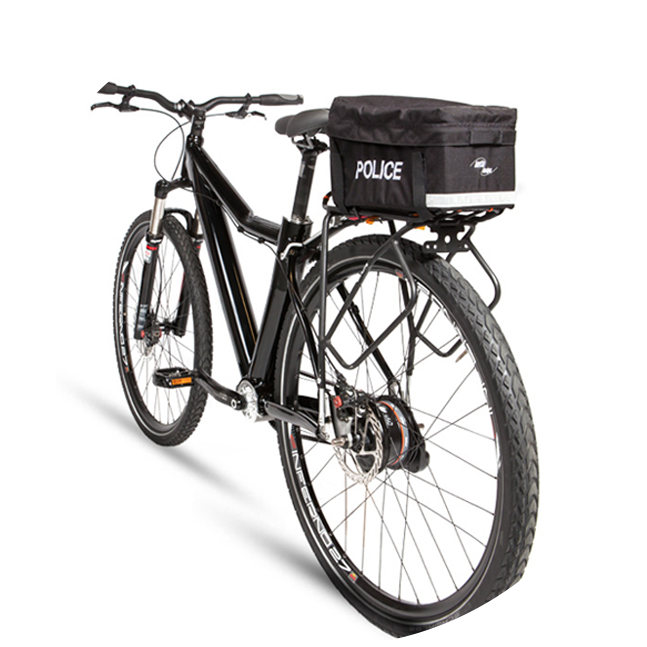 Due to the limitations of these designs, first responder agencies have not adopted the potentially powerful tool of electric bicycles. Spīr enlisted police agencies from New York, Indianapolis, and Chicago for help in reinventing the electric drivetrain. 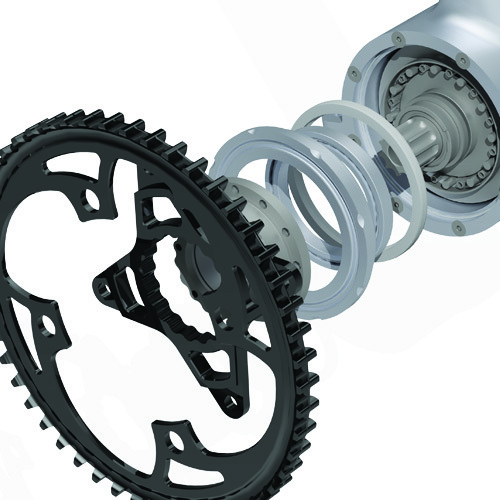 The result was a revolutionary drivetrain capable of performing in the toughest environments. 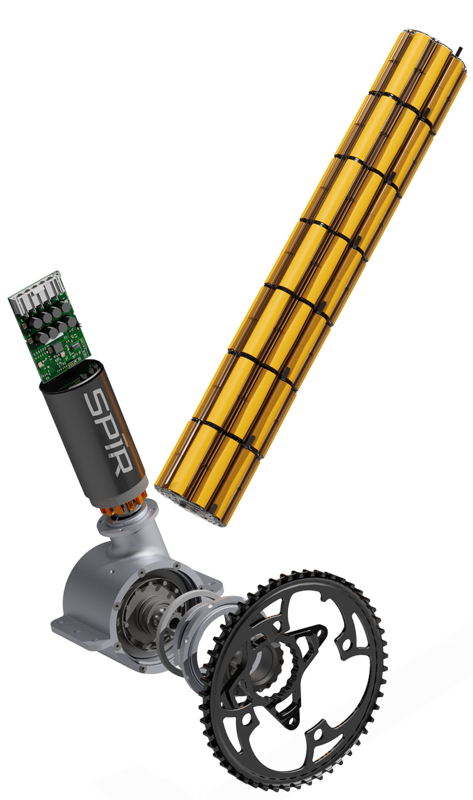 Spīr completely reinvented the high performance electric bicycle by recreating a more advanced drivetrain. Spīr is a cost-effective electric bicycle for first responders. Real time torque measurements enable the motor to move in step with the rider. This natural assistance creates a rider experience unlike any other electric mobility experience. Gearbox perfectly blends rider input with motor power for a unified experience. Precision tuned control algorithms deliver the smoothest ride possible. 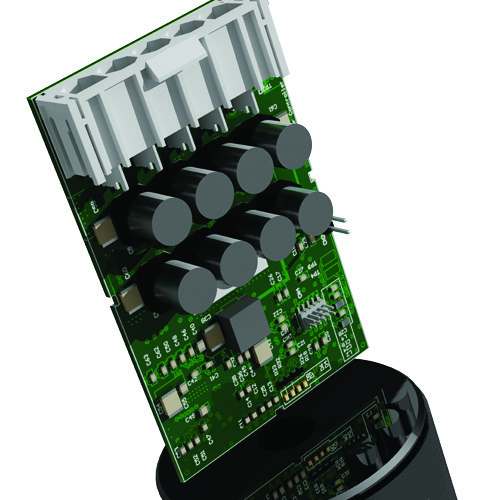 Using state of the art power electronics, Spīr can deliver power to the motor at the highest efficiencies. Serves as the Spīr inDrive's command center, powering a superior ride. 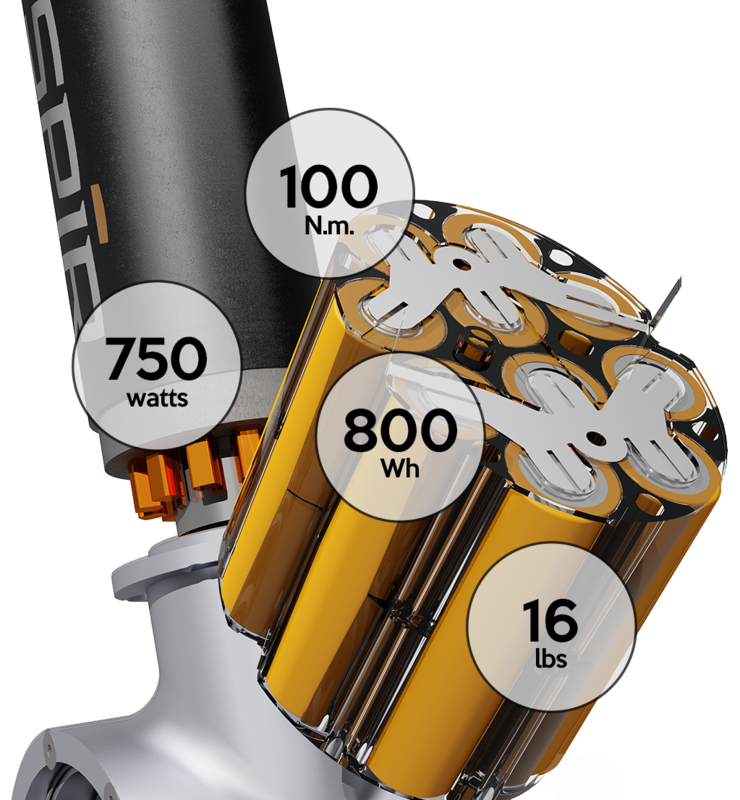 By coupling the latest technology in Li-ion chemistry and custom packaging the Spīr battery pack has 800Wh, plenty for a full day of riding on a single charge. The battery pack is centered on the bike for optimal balance and handling. Alan Lewis is a highly experienced senior executive with a background in automotive, packaging manufacturing, consumer manufacturing, and sales. He was the C.E.O. and President of Createc Corporation from 2001 through the end of 2010 when he led the successful sale of the company to a private equity firm. Alan remains active in the automotive field, as both a motor racing driver and inventor. He holds a number of technology patents for motor racing that have resulted in safer and lighter products for competitors and are currently used in IndyCar and NASCAR. He graduated from Miami University in Oxford studying Finance and International Business. Patrick brings a broad and diverse skills set to Spīr. 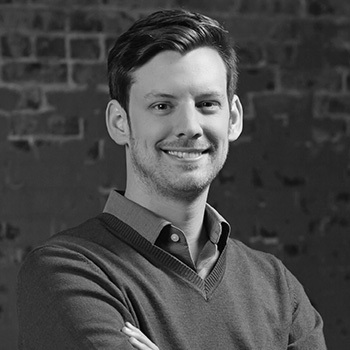 He has worked with startup organizations in a variety of industries, rolling his sleeves up to assist with product design, go-to-market strategies, corporate development initiatives, and legal & financial support. Patrick excels at identifying and evaluating potential strategic partnerships to allow for scale. 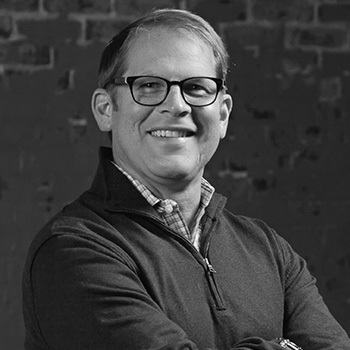 Much of Patrick’s experience has been in the healthIT space, where he has helped lead companies through early stage funding, product launch, and has been part of a SaaS executive team that experienced a successful exit in the edtech space. This exposure provides him unique insight into the challenges that early stage companies face. Patrick holds a BA from the University of Notre Dame, where he was active with the Gigot Center for Entrepreneurship, was a Lyman Internship award recipient as part of the Hesburgh Program, and also worked in the University’s Investment Office. Patrick also has a JD from the Indiana University School of Law – Indianapolis. 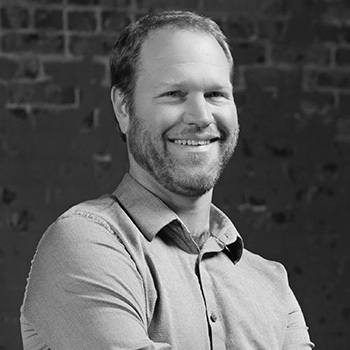 Matt Hendey is an expert in robotic automation, highly versed in product design & engineering, a guru of welding automation, skilled cyclist with a love for mountain biking, a recording musician, and part time “Mad Scientist”. He has had the pleasure of developing robotic automation for Ford, Harley-Davidson, Honda, Fisker, Watson & Chalin, as well as many other top tier suppliers and progressive operations. When Matt is not working with robotics or designing and engineering products he is usually riding or supporting cycling of all kinds. 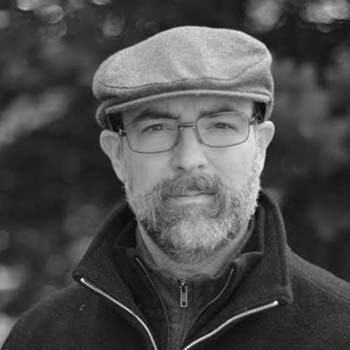 For Spīr Matt has used his 24+ years of manufacturing and engineering experience to help Spīr develop ground breaking and innovative products for law enforcement and utility applications. Drew’s goal is to change the way society and the world approach energy. In his experience the ideal solution needn’t rest in just one solution, but in the nexus of many. Whether it is through better management of the grid or through redefining the electric vehicle, he hopes to use his diverse skill set to solve our future energy needs. 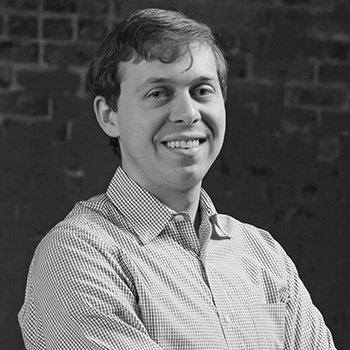 As CTO Drew is tasked with power electronics development, design and testing. He is also tasked with software and firmware development. 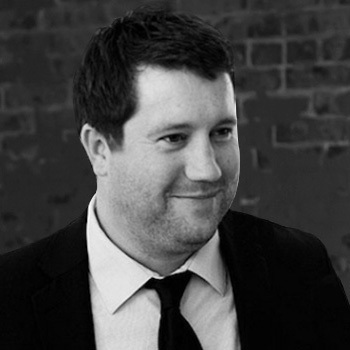 Grant brings his vast experience in the electric vehicle industry to the Spīr team. He graduated from Purdue University with a bachelor’s degree in Mechanical Engineering and minor in Electrical Engineering. 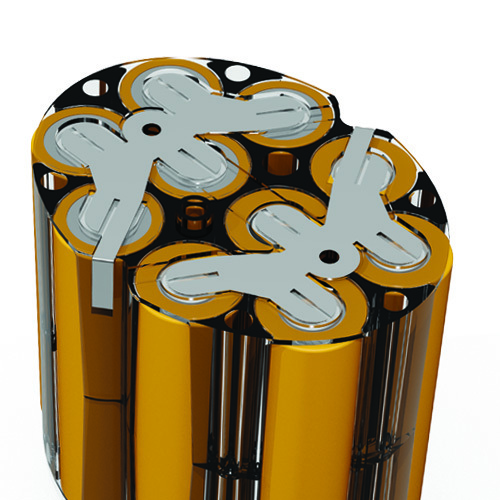 Grant’s strengths are in mechanical design, CAD, FEA simulations, electronics design and validation, battery integration, battery characterization, battery modeling, systems integration, and project management. Grant is currently the CEO of EVC Racing, an electric vehicle design and consulting firm in Indianapolis, IN. Grant was previously employed at Indy Power Systems, an energy storage firm. At Indy Power Systems Grant was responsible for mechanical design and simulation, manufacturing, system validation, business development, and project management. In his free time Grant builds land speed record setting motorcycles destined for the Bonneville Salt Flats. Stephen Moore is a conscientious engineer with strong expertise and experience in the design and testing of lithium-ion battery packs and their energy management systems. Stephen’s strong suit, without question, is his extraordinary level of creativity and innovative thinking. Coupled with his excellent scientific and engineering approaches to problem solving, he can quickly deduce and solve any technical problem set before him. 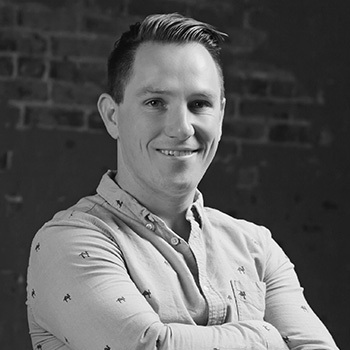 Stephen’s likable personality and interesting hobbies make Stephen a well rounded individual and one wanted on the Spīr team. Wade Cunningham is a former IndyCar Series and Indianapolis 500 competitor who used his knowledge and passion for motor racing to transition into automotive and motorsports safety. Wade’s focus has been on thermoplastics and advanced manufacturing while pursuing applications for new technology in these fields. His decades in motor racing honed his skills in team and project management. Whether preparing for the next race or the next deliverable in the design schedule, Wade’s laser focus ensures the Spīr team is ready when the green flag drops. InDrive, In Balance, In Control.